Made by Sarah Louise, a top designer British designer of beautifully detailed baby garments and accessories for more than 20 years, these beautiful white satin shoes have lace trim and a sweet organdy bow centered with tiny pearls around a rhinestone. 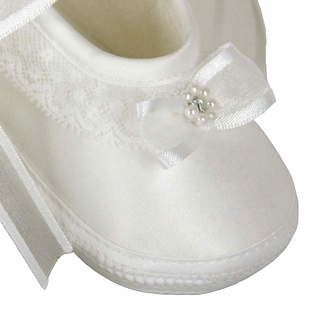 The organdy ribbon is attached at the heel to tie around baby's ankle. 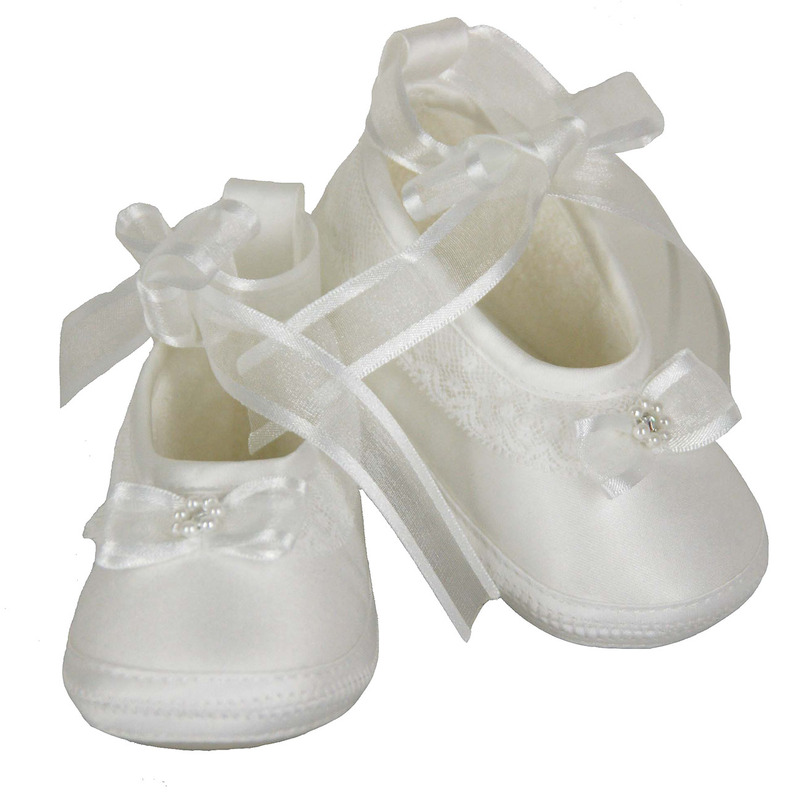 These ballet style crib shoes are perfect for your baby girl's christening or any special occasion. 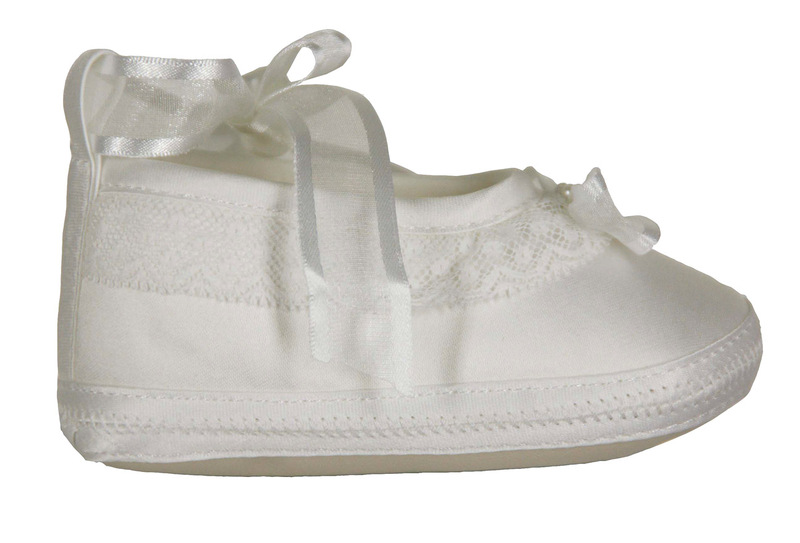 Also available in ivory. See below.